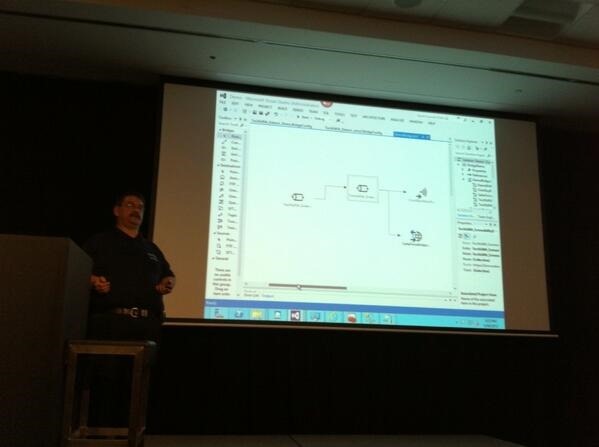 Having a great time at Microsoft TechEd Australia this year! 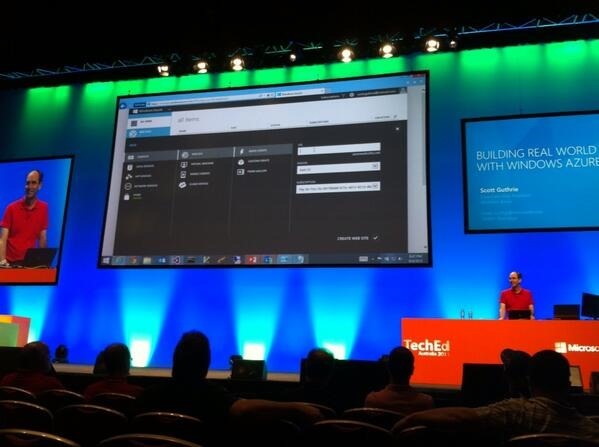 Today there were some inspiring presentations, including two awesome back-to-back sessions on Building Real World Cloud Apps with Windows Azure with Scott Guthrie (yeah, he might know a thing or two about Azure! ). The Gu talked about patterns and best practices across a variety of areas including automation, source control, fault handling, storage, logging, scalability, SLAs, and more. As expected, his presentation and demos were highly polished and indicative of his vast experience and knowledge. I followed this by attending an equally polished and highly informative deep-dive session into Windows Azure BizTalk Services by "BizTalk Bill" Chesnut. Bill took us through the extensibility options offered through custom code opportunities via inspectors (in between each stage of the pipeline), custom script and/or XSLT in the maps, and WCF custom behaviours in target web services. He also showed us how to scale out BizTalk Services and gave us a peek at the somewhat daunting pricing schedule. 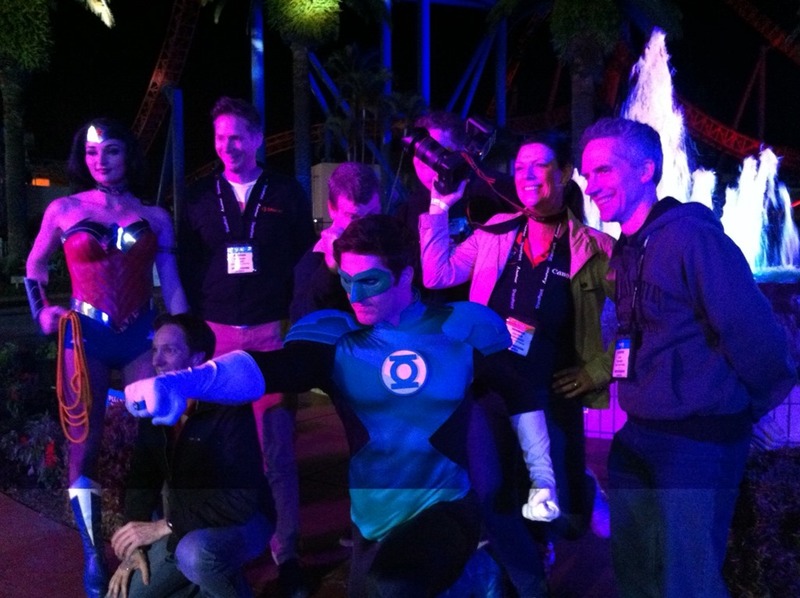 Finally, we wrapped up the evening with the "Celebrat8" party at Movie World. There was tons of food, thrilling rides, and an impressive stunt show… but there were definitely some shady characters hanging out in the neighbourbood! Looking forward to the lock-note tomorrow where we get to hear Scott Gu speak again, this time on the future of Azure and about "owning tomorrow". Many thanks to Mexia Consulting for sponsoring the whole team’s attendance again this year!